Are you more conscious about environment and want to save more energy and stop the emission of hazardous gases? If yes; here are the top five eco-friendly gadgets to save more with entertainment you can achieve with them. 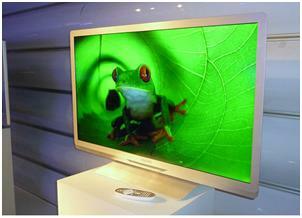 Enter Philips’s Eco TV. This 1080p, 42-inch beaut incorporates several energy-savings measures, including a dimming mechanism designed to lower the panel’s backlight depending on what’s being shown on screen, and a sensor that measures the room’s ambient light and automatically adjusts the backlight accordingly. Adding to the Eco TV’s green cred is its use of lead-free materials, plus recycled packaging and manuals. Available in March, the Eco TV will set you back about $1399. To complete clean the electronic life around you, there is good news that even data storage can go green. If you’re looking for a bigger chunk of Earth-loving’ storage, check out Kanguru’s Eco Drive, which can reduce power consumption by up to 75 percent compared with other external drives. It does this via three modes–Idle, Standby, and Power Down–that ratchet down the power depending on how long the drive has been inactive (of course, the deeper it’s sleeping, the longer it will take to spin back up). It’s also free of such common toxic materials as mercury, lead, and cadmium. A 3.5-inch version of the drive is available in sizes ranging from 80GB to 750GB (and at prices from $95 to $260), while 2.5-inchers come in 80GB and 160GB version at prices from $100 to $140. Even after shutting down your DVD player or TV, they continue to use little amount of light to glow in standby mode. 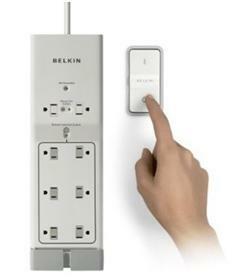 Belkin’s Conserve is more surge protector than you ever thought you require saving your extra used energy in home. This device featuring eight outlets you can shut down after completion of work and remaining two for gadgets you don’t want to turn off immediately. Its remote control will help you to turn off the connections without getting out of the bed. Apple has not yet scored well at its gadgets to be environmental friendly. Last fall, Greenpeace found the toxic chemicalsin iPhone, but now MacBook air is aimed as Apple environment friendly efforts and continuing progress. The Air sports a mercury-free LCD (Apple’s first!) with no arsenic in the glass; circuit boards containing little or no brominated flame retardant; and internal cables with nary a trace of PVC. These speakers have been made from recycled material and these eco-speakers come in wide range of colors. Eco speakers are small, can fold to 6 inch package for transporting and these will take tiny power from your iPad or MP3 player. These speakers don’t need power chord or batteries.